Share on Facebook and get unlimited notifications for free! 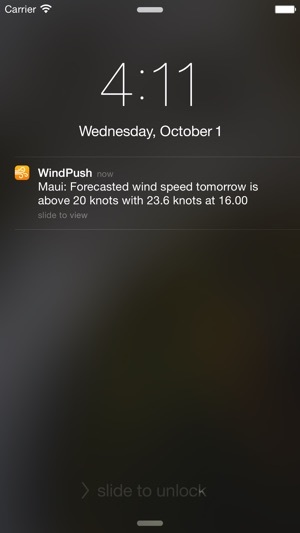 WindPush is the ultimate app for anyone that needs specific wind conditions. Perfect for windsurfers, kitesurfers, sailors, paragliders, hang gliders, RC plane enthusiasts, etc. 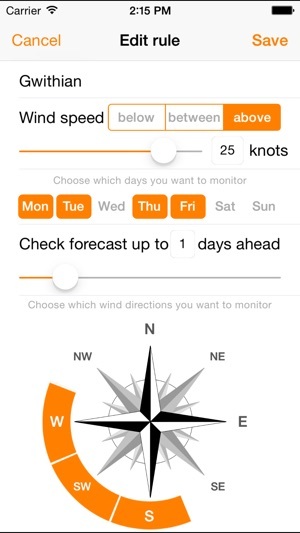 Based on the settings you choose, you’ll be notified when the wind you are waiting for is forecasted. 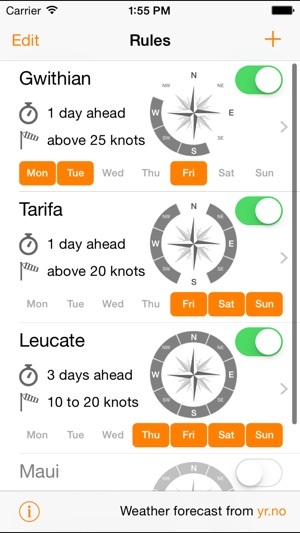 As an example you can get notified when the forecast says more than 15 knots from north-east or less than 5 knots from any wind direction. You can easily choose which days of the week you want to monitor, so you won’t be bothered when you’re busy. WindPush covers over 10 million locations worldwide and can also use the iPhone’s GPS to search for the location closest to your current position. Missing spot? If you can't find the spot you're looking for you can add it manually in Geonames’ database. Go to windpush.me/FAQ/ for further instructions. 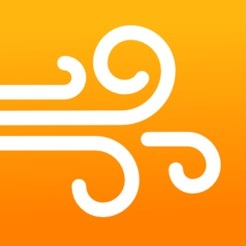 WindPush uses weather data from yr.no, delivered by the Norwegian Meteorological Institute and the NRK. 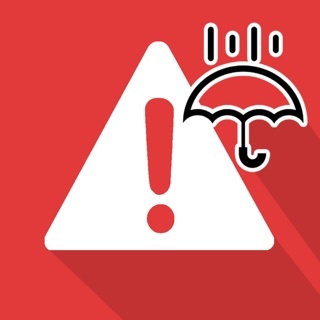 Your use of WindPush is at your own risk, and we would like to point out that weather alerts for more than two or three days ahead can be very imprecise. We take no responsibility for any errors or omissions in the access to or use of weather data. -Share on Facebook and get unlimited notifications for free! Most useful free flight app ever! I never write reviews. This is an exception. I have been hang gliding for over a year now and really struggle constantly monitoring several weather stations, remembering wind directions at sites, and navigating my clutter of weather apps. Freeflight pilots look no further!!!! 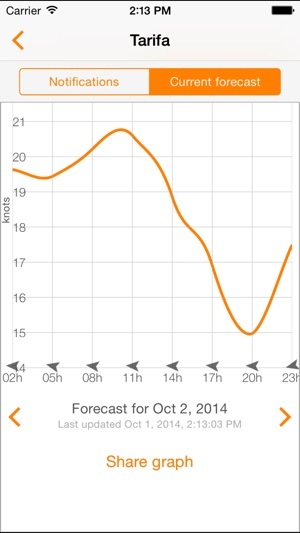 Wind push is the PERFECT predictive weather app. 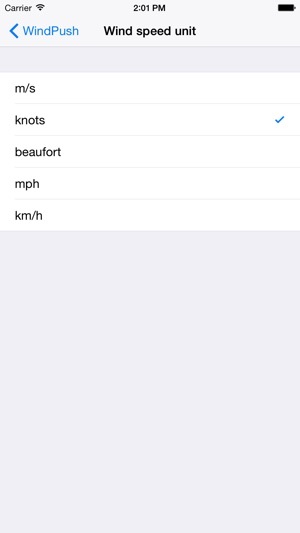 Input your desired wind direction and speed, days ahead to forecast (I recommend 1, it will constantly chirp if you go 3-4 out) and you will receive push notifications when the wind is right at any of your sites. Be aware that after 50 or so notifications it will ask you to buy unlimited notifications for 2 or 3$. BUY IT!!! Seriously, if they include radar/ discussions in the future, it will be my standalone weather app. 5 stars all day!!! !